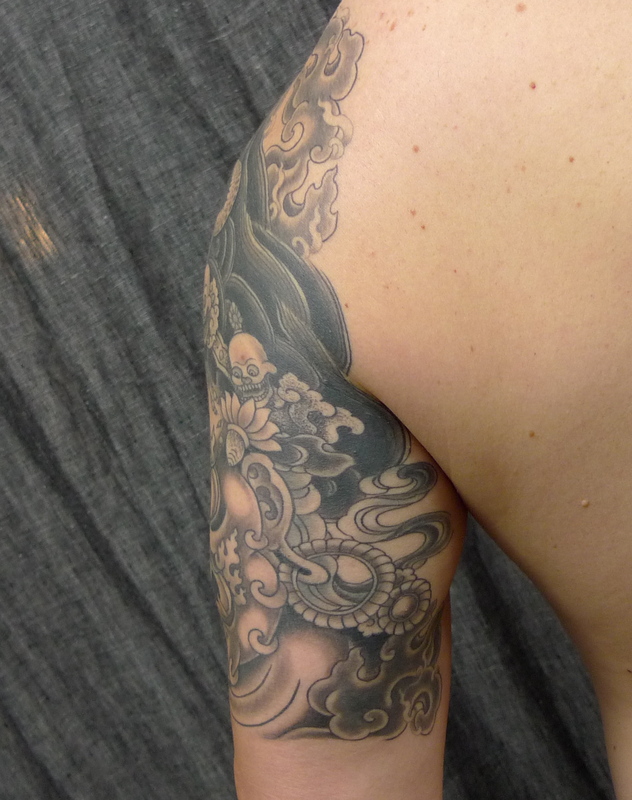 will have healed photos soon ,you can click on the photo for details . 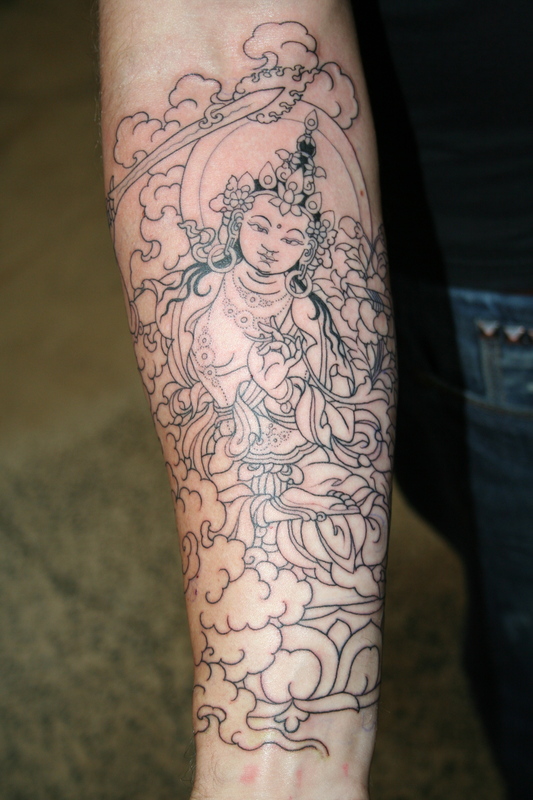 this is all the outlines , will do black shadings then colors next . 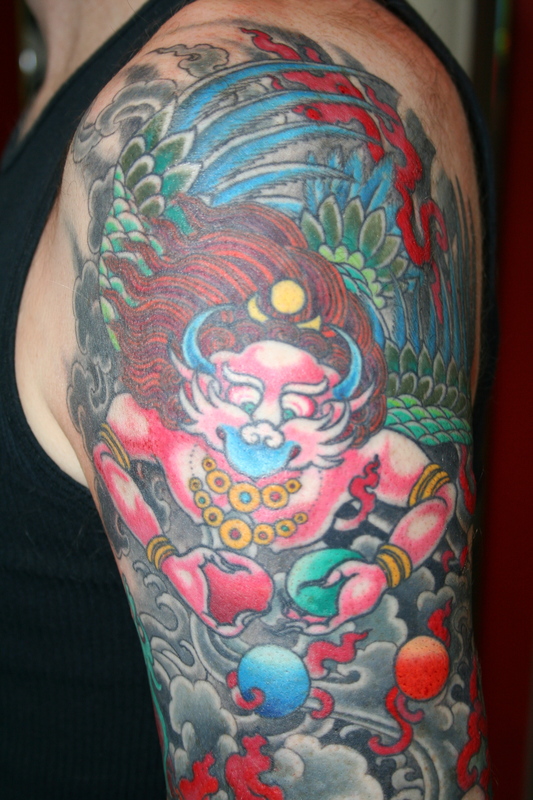 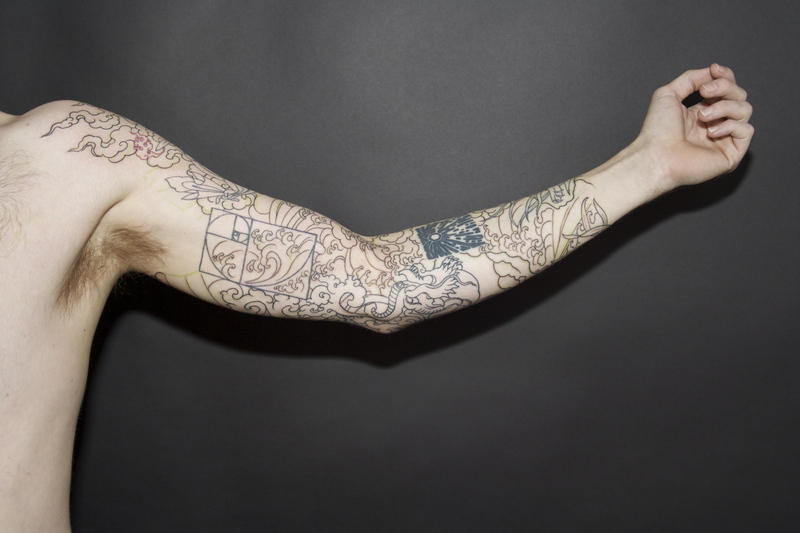 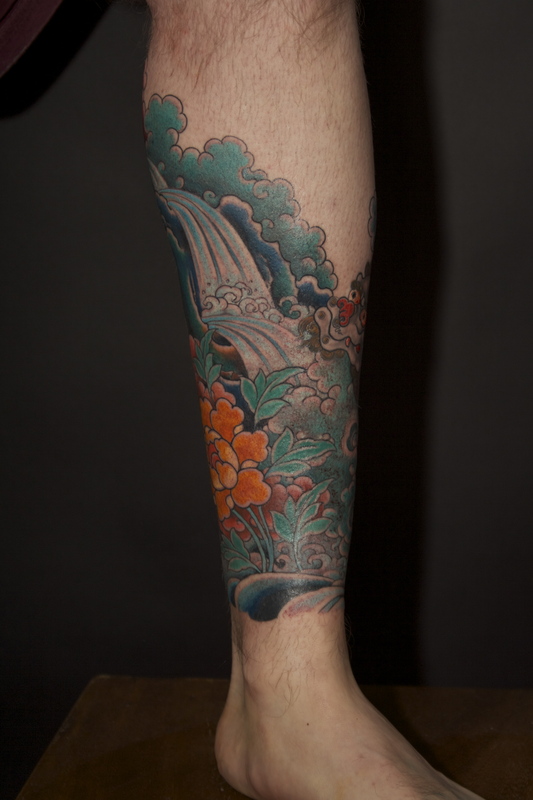 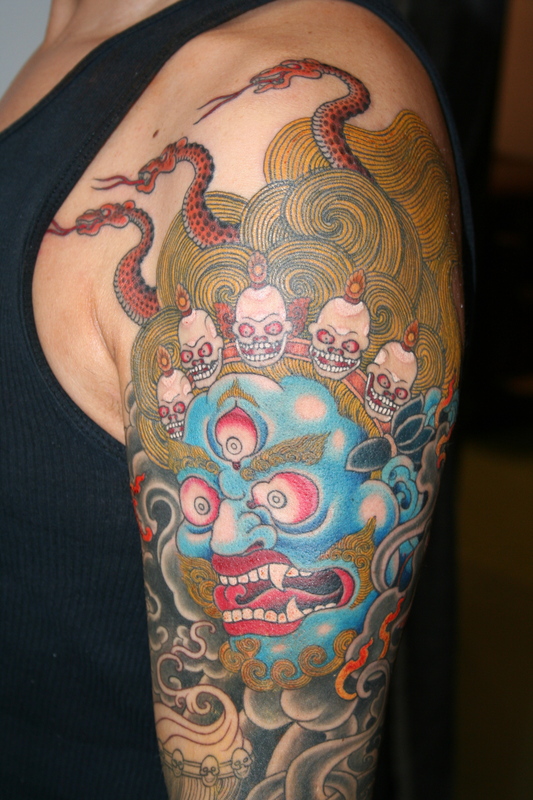 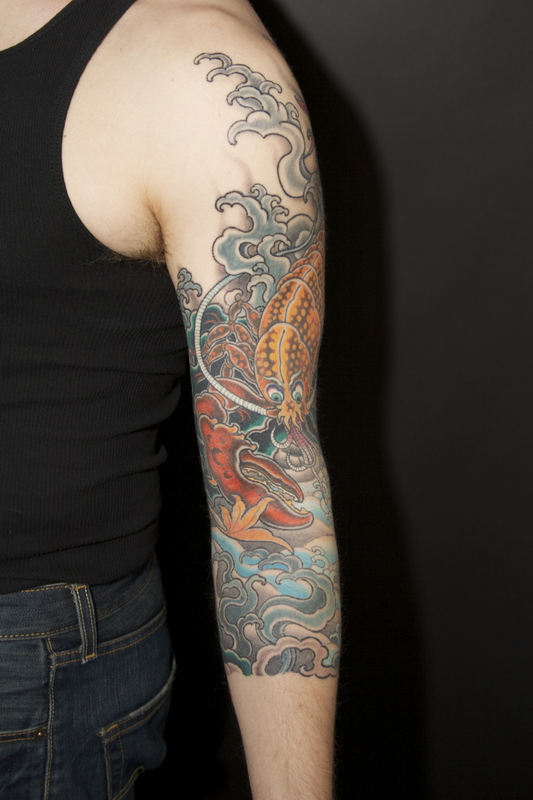 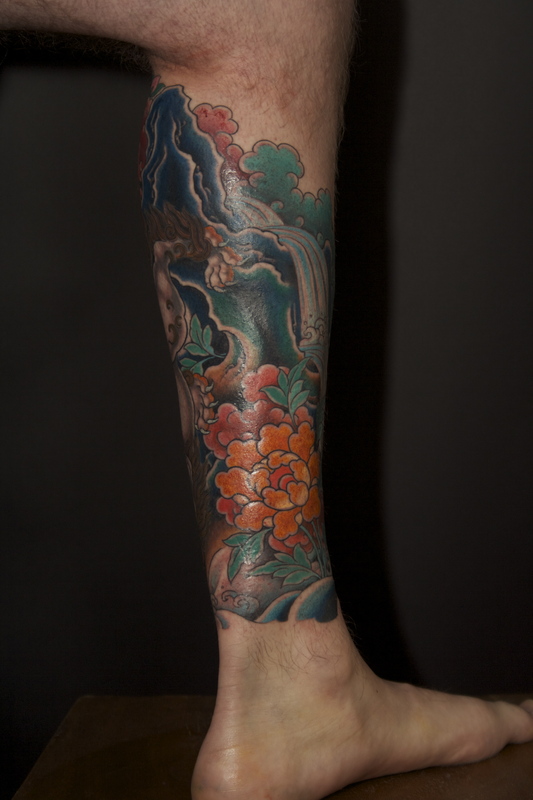 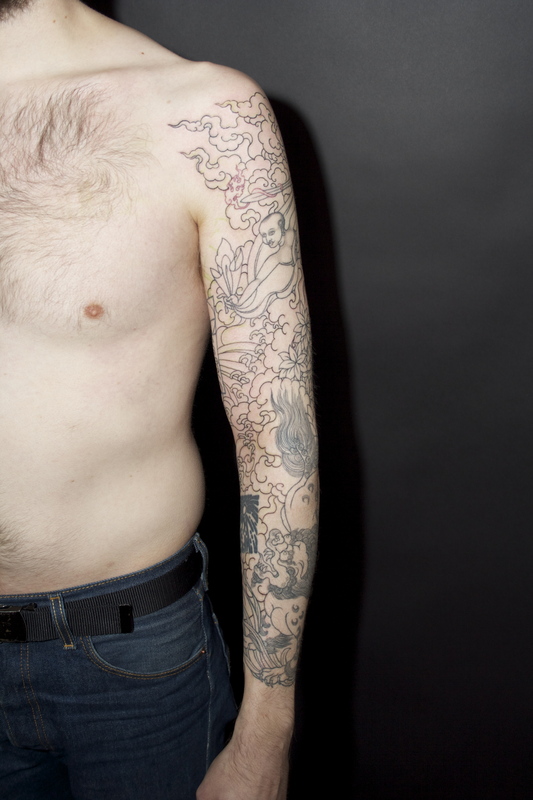 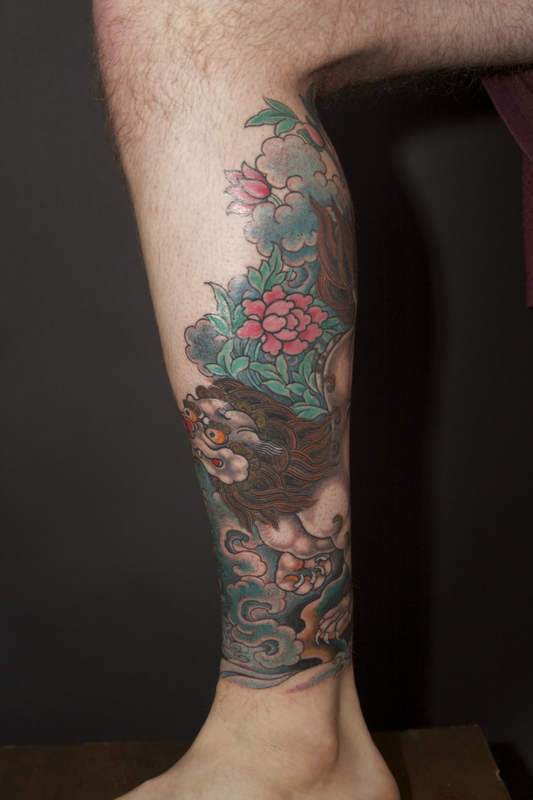 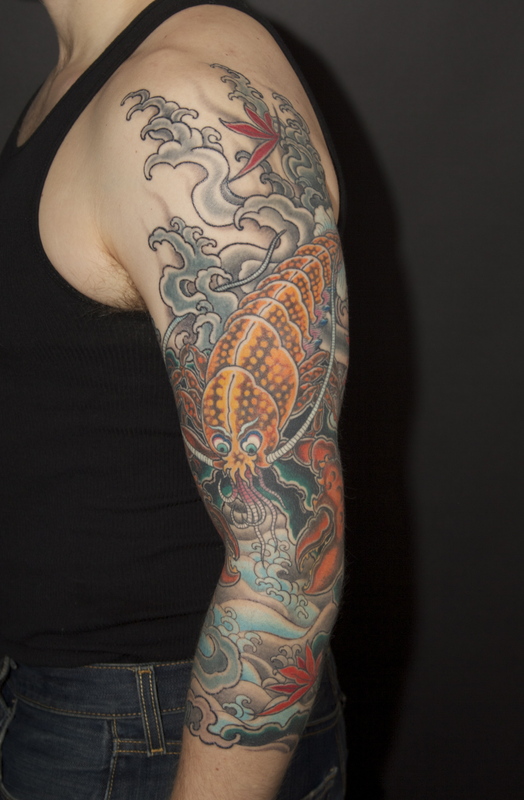 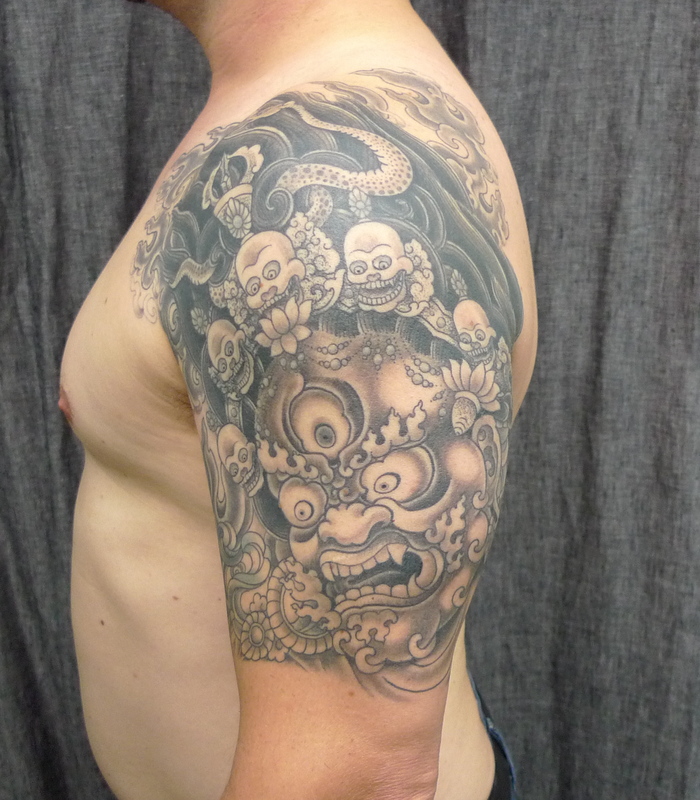 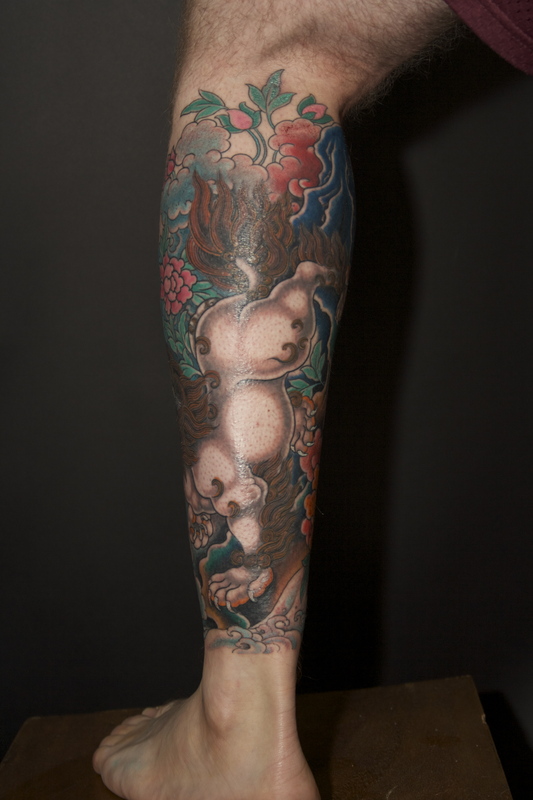 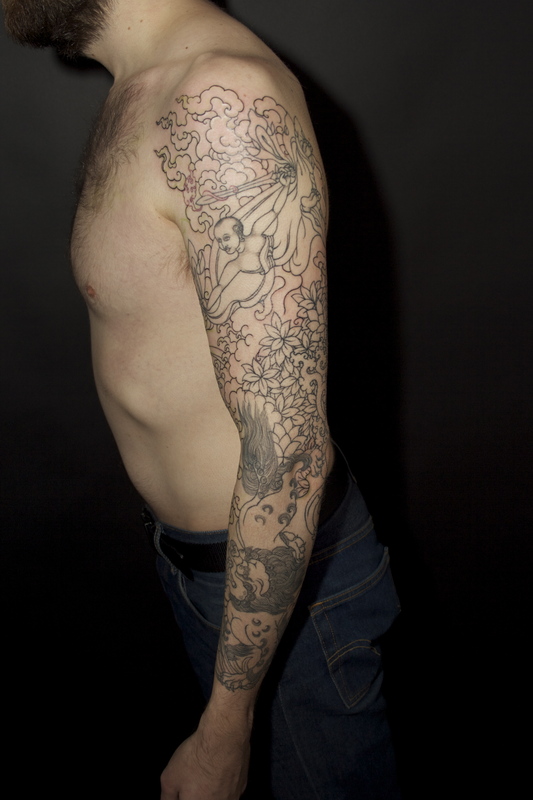 first session on scott `s arm , will be filled in in black and gray shading .